Plug in your microSD to your computer. Use SDFormatter to format your sdcard. Open up MiniTool Partition Wizard Home Edition. Click on your microSD disk. Click Create to create Boot Partition. – Partition Size: 500 is recommended but you can choose higher. Click OK.
Click on Unallocated, and Create System Partition. – Partition Size: 400 is recommended. Click OK.
Click on Unallocated, and Create Data Partition. – Size and Location: Drag arrow on the right all the way to the right. Click OK.
Click Apply. 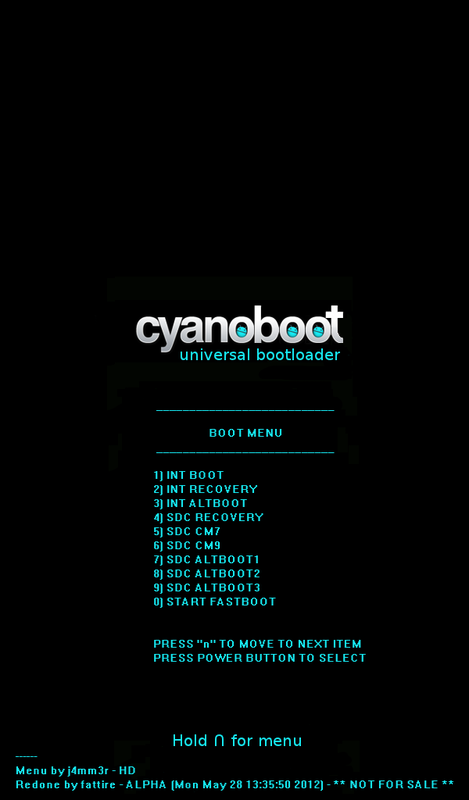 Right click on Boot partition, Modify -> Set Active and Apply again. Open up your sdcard in Explorer. Copy the contents from acclaim_sd_cm7_HD.zip to the root of your sdcard. Remove your sdcard and plug it into your Nook Tablet. Power on device and wait until it boot into Recovery. Initial pull and modify from WhistleStop repo as a base. Other reference bases: android_device_bn_encore, android_device_motorola_targa, android_device_lge_p920.